On May 28th 2014, my lil pup Indy turns 1. I didn’t really grow up with pets (besides an algae eater, and my sister’s cat that she had more recently), so when my wife suggested we get a dog, I was hesitant. I was not enthused about the added responsibility and inconvenience of a pet that needed more than 5 min of my time per day. But after a while I finally caved, and we trekked down to the shih tzu breeder we know in Virginia. 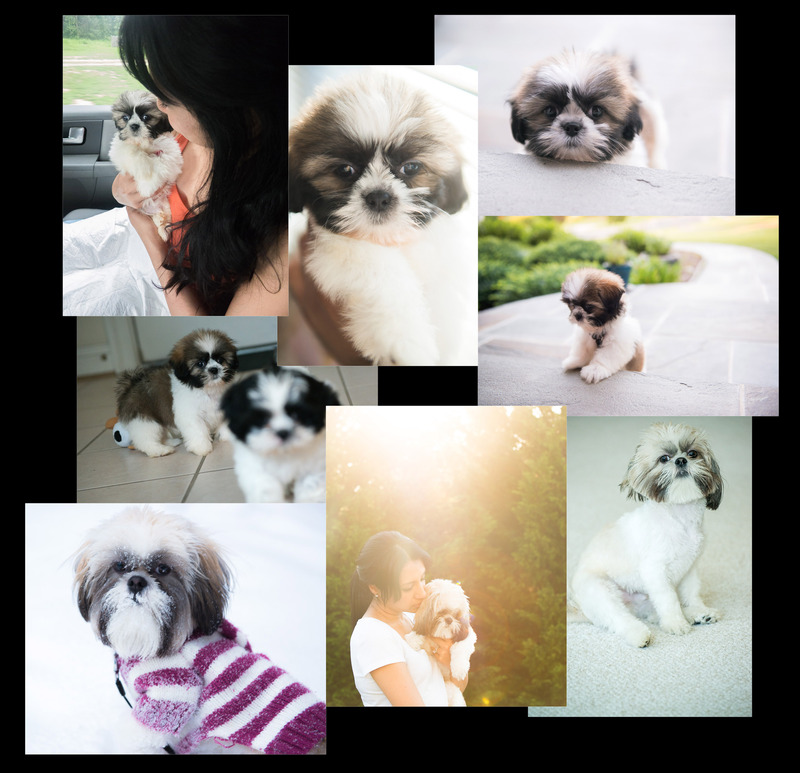 Upon seeing the litter of tiny varied brown, black, and white shih tzus, one stuck out from the pack. He was curiously calm and collected and with a beautiful pattern of brown and black on his back and either side of his face. We knew he was the one and took him home. During the next couple of weeks, I wondered if I was right that having a dog was too much work! He would not sleep at night, instead unleashing a high-pitched shriek that lasted the entire night. After a couple of nights, we decided to use our earphones as plugs to mask the his ridiculously annoying voice. This was on top of his total lack of potty training. Though this was expected, it was not fun cleaning up incident after incident after incident — anywhere from in his crate to on our white bedsheets. Over time, he settled into his life with us and his personality began to show. It took us some time to come up with it, but he has lived up to his name. Over the past year, Indy (short for his full name, Indiana Jones Sarma haha) has proved to be an adventurous explorer and feisty friend. No square inch goes uninspected, no piece of fallen food goes unswallowed, no canine neighbor goes unsniffed. He also shows a strong stubbornness. Look him in the eyes for too long and you are begging to play… if you don’t get up and run around with him, he will bark your ear off. And to this day we have not been able to train him, to do anything! He does what he wants, when he wants… true Indiana Jones style. Even though he’s just a little dog, he has an aura about him. People can’t help but smile and pet him when they meet him, since they feel his positive energy and kid spirit. I’m proud to say that I was wrong about having a dog, and that Indy has made my life more fulfilled. His life and needs for happiness are so simple that I feel he inspires us humans to be more appreciative. Happy birthday… and STOP BITING THAT INDY!